It is always a great pleasure for me when I can make music together with so many good musicians. 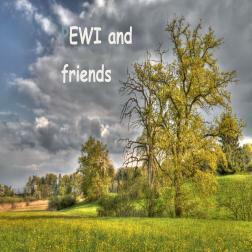 When I first joined Wikiloops, I only had the EWI for a short time. Thanks to the unlimited possibilities Wikiloops offers, I practiced a lot and got more and more pleasure with this instrument. My special thanks go to Richard and of course to all the wonderful musicians who share their creativity and skills with me every day! Always great to hear Peter making his many wind instrument sounds (and occasional guitar) Even better to play on several songs on this album. Thanks for the fun and music Peter! I like the tracks, great woodwind and EWI playing. Thank you for being a part of it. Very nice music Peter, I agree completely with you. WL is a place where we can express our creativity. Well Peter that's all that matters.... the big E likes it.....Always love to hear you're playing.......ESPECIALLY son one of my tracks as you are so good and always class up the joint when you play! Thanks for your good work!